The Saint Bernard dog breed is named from the St. Bernard Hospice which was a stopping place in the Swiss Alps for people traveling between Switzerland and Italy. In the 1870’s, the Rhodesian Ridgeback dog breed was used to hunt lions in Rhodesia. The Norwegian Elkhound dog breed was the companion hunting dog of Vikings. The most common way that the Poodle dog breed’s hair is cut today is based on the cut given to their working dog ancestors – cut short on the body to help the Poodle dog breed swim and left long on the ears, feet, and tail to keep sensitive parts of the body from being exposed to the cold water. While mostly descended from ancient dog breeds of spaniel, the Clumber Spaniel dog breed may also have ancestry from the Basset Hound and St. Bernard. The Cairn Terrier dog breed is named from the word “cairn”. A cairn is a heap of stones set up as a marker, tombstone, or monument. The Cairn Terrier dog breed would help to hunt the vermin living within or taking refuge in these cairns. The Dogo Argentino dog breed was bred in South America to hunt jaguar. The Saluki dog breed, the oldest of dog breeds, was mummified after death along with the pharaohs of Egypt. 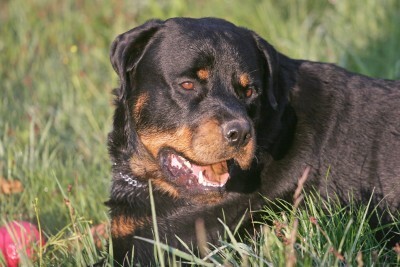 The Rottweiler takes its name from a German township called Rottweil. The Affenpinscher dog breed is a German dog breed. Affen means “monkey” and pinscher is the German word for a dog breed that has his ears and tail cropped/docked. Do you have a dog with an interesting history? Please share! This information was found in various sources including dog breed books by Barron’s. 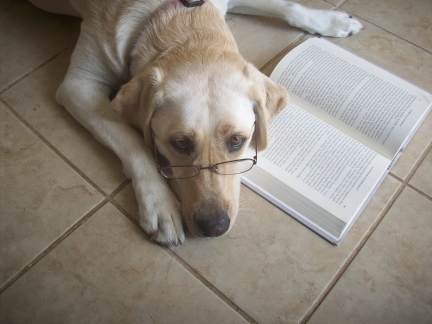 Visit our Dog Lover’s Book Store to find more great dog breed books.